Below is a recap of my experience at the 2013 TBF National Championship. This culminates a 2 year qualification process which began by fishing the 2011 TBF of Connecticut tournament trail. That year I finished first in the "C" Division, and qualified to fish as a boater at the last years Eastern Divisional, held on Lake Champlain. After three solid days of fishing at the Divisional, I qualified to fish this year's TBF National Championship. Not bad for $225 in entry fees for the 2011 trail. At the National Championship, the top anglers from each of 7 regions will advance to compete on Saturday for the title and will also earn a berth in The All American Tournament to be held later this year. The top boater and non-boater at this event also earn a berth in the FLW Cup as well as the "Living the Dream" package, where they get to fish the pro trail free for one year. Pretty cool! For this event, I trailered my boat to Oklahoma to use it for the first 2 days of the official practice period. The lake has been off limits since February 8th. For the final practice day and to use during the tournament, the TBF supplies you with a brand new, fully rigged Ranger boat. Monday - my partner from Connecticut (Gary Kurensky) and I had a good day. We put 9 keepers in the boat (I had 6 he had 3). My bag included two fish over 4 pounds. My best 5 weighed 14+ pounds. Gary lost one over 5. It seems the bite was tough for a lot of people, so we had a pretty good day. My big fish were caught on an Alabama Rig, the first fish I have caught on this thing. It's a hot bait down here. These fish were related to schools of shad in the middle of a pocket in the back of a creek. We also had some fish on jigs, spinner baits, and a few other baits. I even caught 2 catfish on the Alabama Rig. These cats were actively feeding on a school of shad in bay off the main lake. Temps on Monday were 75-80 air temp, and 55-59 water temp in the areas we fished. We heard reports of water temps in the low 60's. Tuesday - fished with Gary again. We again had 9 fish (I had 3 he had 6). We spent the morning trying some main lake points in a different area of the lake. Water temp was cooler here, only 52 and the bite was slower. About mid-day, we decided to look for other areas closer to where we fished Monday. Turned out to be the right plan. We found water as warm as 63 degrees and caught most of our fish there; including a 5-6 pound largemouth I caught on a jig. (See picture). Air temp was around 80. Tuesday night was the registration session and banquet. We started with a brief angler profile interview. Then an equipment briefing (they gave me a brand new 20 foot Ranger, with a 250HP Evinrude to fish with during the tournament. Everyone gets essentially the same rig, so we are all on an even playing field. This boat is incredible, with all the bells and whistles (and a price tag to match). The boats come with Lowrance HDS 12 and HDS 9 Touch units, flush mounted in the boat. An 8' Power Pole, Minn Kota 101 Fortrex trolling motor and tons of storage. I met my partner for the final practice day and first day of the tournament. Ethan Cox, the National Collegiate Champion. Wednesday - today I practiced with my first day partner Ethan. The weather took a nose dive from the prior two days. We launched into 40 degree air temps, rain and major thunderstorms. It actually got a little scary with the lightning around us, so we ducked into some boathouses to wait out the storms. We had a good day, fishing a new area, close to the other two. We boated around 12 keepers, shaking off a few and catching a number of short fish. We had a strong jig and worm bite today, but nothing over 3 pounds. All in all, it looks good for tomorrow. Hopefully we can get some quick limits early in the day and then go on the hunt for some big fish. Thursday - Day 1 of the tournament. We launch with air temps in the 30's. Air temps do rise to about 50 during the day. I am boat #22, 1st boat in the second flight. After a cold 30 mile run to our first spot, we are underway. We start in the bay we found on the final practice day. The bite has slowed versus yesterday. We spend several hours in this bay trying to finish out our limits. I start with the jig, my partner starts throwing a shaky head. He jumps out to a 3-0 lead before I tie on a shaky head and finally get on the board. We were fishing chunk rock banks. Unfortunately, I broke off a couple of fish and had a few others come off. We also noticed the fish were picking up the worms by the tail as the teeth marks on the worm seemed to be just below the hook bend. We really needed to slow down to give them a chance to eat the worm. Water temps had dropped to 52, versus the 56+ we saw in here yesterday. After several hours, we both had out limits on the shaky head and jig. It took longer than we had expected. We then left this bay to look for some bigger fish. We went back to the Duck Creek area I had fished on Day 1. We threw jigs and A-Rigs on the many points and banks in this area. We did catch 3-4 more fish, but none that would help improve our weights. I finished the day with a limit for 11 pounds which left me 2 pounds 6 ounces off the lead for the Eastern Division boaters. My partner weighed in a limit for 9 pounds. Friday - Day 2 of the tournament. I am paired with a non-boater from Pennsylvania. We launch to air temps in the low 30's and have to wipe some ice off our seats in the boat. We make the same 30 mile run to the starting point from the day before, hoping to pick up some quick limits, or at least a couple of fish before going lunker hunting. Things didn't pan out. I break off on my first two fish of the day on the shaky head. My partner jumps out 3-0 on a jerk bait. I tie on a jerk bait and quickly land my first fish of the day, a crappie! We spend a little more time in this bay, with no luck. Water temps were now down to 49 degrees in this bay. 3 hours into the day, knowing I need 15-20 pounds, we decide to leave this bay and go back to the areas where we had bigger fish in practice. We spend the rest of the day throwing jigs, jerk baits and A-Rigs in different areas of the lake. My partner lands one more keeper and I pick up four keepers on the jerk bait. We did catch a few white bass which got us excited thinking we had out limit fish, but that was not the case. Unfortunately, none of these fish had any weight to them. We both finished with a little over 7 pounds. We both weigh-in. I finish the event with 18 pounds 6 ounces. To advance to day 3, I would have need a little over 27 pounds (17 pounds on Day 2), which is quite doable on this lake. Gary had 4 fish on Day 2 that weighed over 17 pounds, including a 7+, so the fish are in there. It just takes getting the right bite. Saturday - Day 3 of the tournament. While I did not qualify to fish the final day, I was interested in living the full National Championship experience, so I picked up my sister in the morning and we drove to Rogers, Arkansas where the final weigh-in was being held (in conjunction with the Day 3 weigh-in for the FLW Tour Event on Beaver Lake. If you've never been to one of these, you really should give it a try. They have a full Outdoor Expo where you can walk the sponsor booths, meet and talk with some of the pro's that did not make the cut, as well as take in a country music concert and of course watch the weigh-in's. It was pretty cool. They were filming the weigh-in for both the live webcast as well as an episode of FLW Outdoors to be aired later in the year. Watching the excitement as each angler weighed in, sent tingles through my body. It's the type of thing that makes you say, I need to get back here so I can make the cut to fish on the final day. I really want to congratulate the two winners, Mark Daniels (Boater from California) and Ben Wright (Non-Boater from New York) who took home the titles in this event and will be "Living the Dream" as a result. Ben happened to be my roommate for the week, so it was interesting to talk with him each night as the tournament unfolded and compare notes. He is a great guy and I was happy for him to take the win since neither of us Connecticut anglers made the cut. Ben caught all of his fish on the Alabama rig. He had never caught a fish on that rig until the final day of practice, but once he did, he had the confidence to never put it down. This was truly an experience to remember. I am glad that I had the support of my sister, Kristen Cleary and long-time fishing buddy, Louie Hacaj, who made the trip to Oklahoma to cheer me on. I also want to thank my wife Angela for her support from a far. Her encouragement kept me going. Thanks also go out to Gary Kurensky who did everything he could to keep me grounded, reminding me that we were here to have fun. It helped me keep my head after breaking off so many fish (that fishing line has already been replaced). Finally, I want to thank everyone that made this happen. 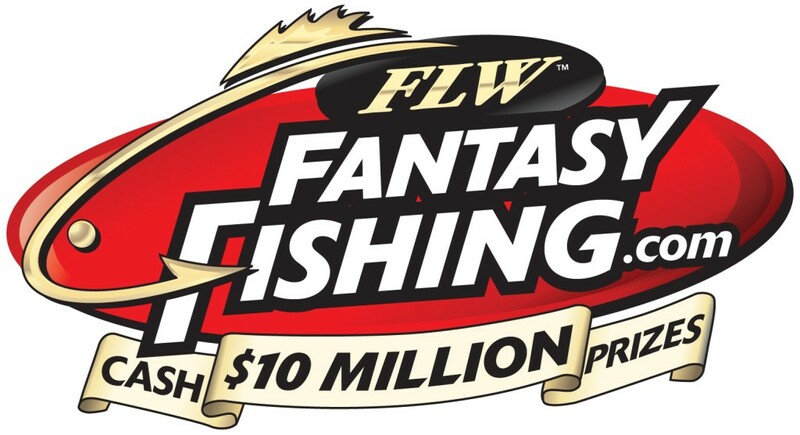 FLW Outdoors, The Bass Federation, and especially the TBF of Connecticut. These organizations give us the opportunity to pursue a dream that wouldn't be possible for us otherwise. When you look at the opportunity that exists for us anglers, and the relatively low cost to fish the TBF of Connecticut qualifying trails, I think everyone should set their goal as qualifying to fish the National Championships at least once. I will warn you though, once you've had a taste of it, you will definitely want to go back! The TBF National Championship was held this year on Grand Lake in Grove OK. I have been fortunate to have won my Divisional and go to the Nationals for the 2nd year in a row. This year TBF has changed the format to include two additional practice days in addition to the one official practice day normally given. It allows the two contenders from the state to go together and fish and explore the lake that most likely they have never fished on before. So on practice day one we were going to fish the coves looking for what might be some warmer waters. We were able to find about 10 keepers that day and some of good size. On practice day two we were fishing the points along with the coves. That day we did find a cove that had water temps about 62 or so an again found about 10 keepers which one was of good size. The first two days the weather was mostly cloudy and warm highs in the 70's. On the official practice day everything changed. A cold front came thru changing the temperature from 79 degrees Tuesday evening to 34 degrees Wednesday morning with heavy rain, lightening, thunder and wind. It was brutal out there. It was really hard to put anything together that day as most of the time you were trying to duck into some shelter from the weather when it became so bad. That day my boater decided that it was just getting to be unbearable and we decided to come in about 2 hours early to find out that everyone at that point was doing the same thing. So it really was beneficial to have had those extra two practice days. So the first day of the tournament the weather conditions were still very cold with temperatures that morning at 36 degrees and windy. That day my boater had his own game plan which is not what we had been doing during practice so I really worked for the three keepers that I was able to bring in but they weighted just under 6 pounds. I knew I needed to step things up on day 2 to even be in contention with the others from my division. So paired with a different boater we put our heads together and early on that morning I was able to pull in a 7.6 pound largemouth which set the stage for what was a much better day. We found a shoreline with some big fish and between us we pulled in 5 fish of some good size from there. We did fish some other spots and brought in more fish. That day I did not get my limit as I lost a good fish right at the boat, so I came in with only four fish that weighted a total of 17.12 pounds. It was a much better day but not enough to win the division and move on to day 3. To get to the TBF Nationals is a great accomplishment for any fisherman. Last year I was able to win my division at the nationals and went on to the BFL All American which was held on the Potomac River which was an awesome experience. Never did I think that again this year I would be heading to Oklahoma to fish Grand Lake for the 2013 TBF Nationals.